In the U.K., Domino’s is the pizza chain to beat. 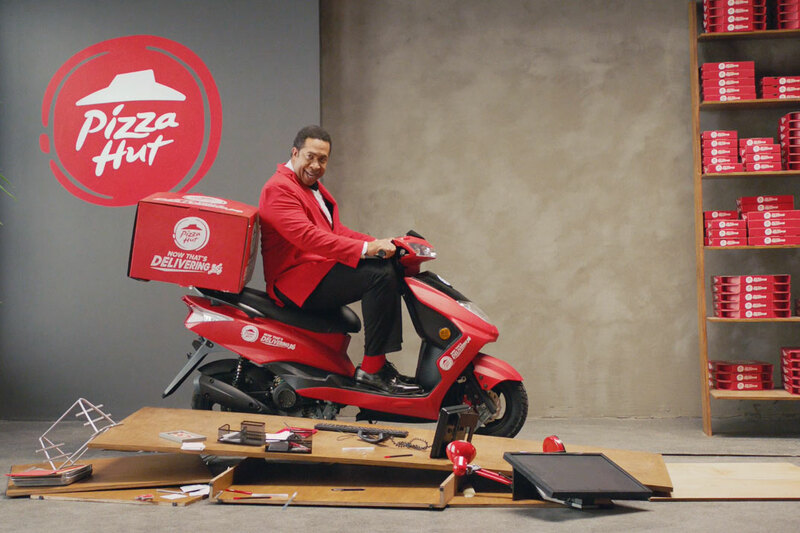 So it only makes sense that a new campaign from Pizza Hut takes firm aim at its rival with an obvious visual metaphor: a long row of blue dominoes toppling in the wake of a Pizza Hut spokesman. 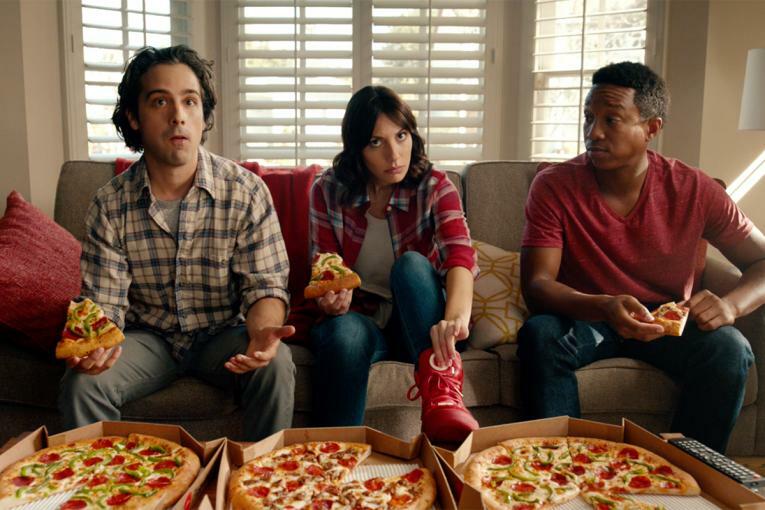 Apparently, many Brits don’t know that Pizza Hut delivers its pies, so Iris has set out to inform them, in the agency’s first work for the brand since winning the creative and strategy accounts last year. The decidedly American John Marshall Jones plays multiple roles across five different 20-second spots, which, when combined, form a fully cohesive 2-minute clip of fast-talking and Rube Goldberg-style machinations. A desk turns into a delivery scooter, a living room becomes a gallery and a courtroom morphs into curbside parking. Through it all, the blue dominoes fall, one after the other. Jones walks viewers through the Hut Rewards loyalty plan, which offers free pizza for eating pizza, as well as the chain’s £5 pizza specials and the Thirty Minute Speed guarantee (reminiscent of the “30 Minutes or Less” guarantee Domino’s ended in the ‘90s). 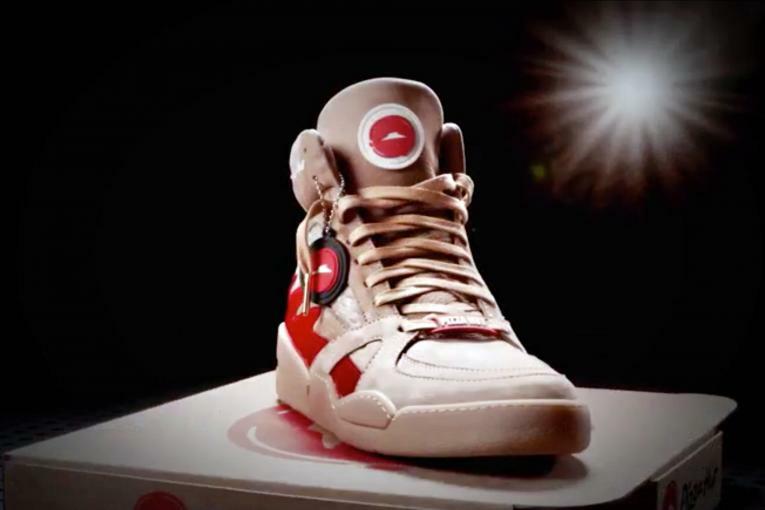 The campaign launched the day after Christmas and running online, along with additional 6-second spots on Facebook and YouTube.